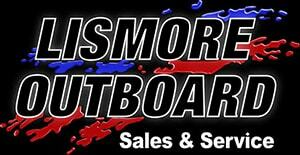 Whether you are a seasoned sailor or just getting started out, Lismore Outboard Sales & Service is sure to satisfied all your boating needs. Here in Lismore, we have a stunning range of high quality boats and boating accessories at great, affordable prices. Call us today for more information on our professional boat trailers, outboard motors, and more. With a wide range of boats and equipment expanding all the time Lismore Outboard Sales & Service is consistently satisfying customers in the Lismore area, providing them with all their boating needs. We also supply all your baiting requirements with bait from Ballina Quality Bait, and can offer advice on the best fishing spots in the area! Call us for professional boat products and advice in Lismore today. Redco Tinka are the leading manufacturers of boat trailers in Australia. Offering high quality boat trailers at stunning prices, call us for more information today. Dunbier Marine Products have been manufacturing boat trailers for over 42 years. They have the experience and skill to produce top quality boat trailers, which we happen to stock right here in Lismore. For more information on our quality brands for boat trailers, call us on 02 6621 2657 in Lismore today.